The Goldbergs will be back next season but the same can’t be said for its companion series, Trophy Wife. 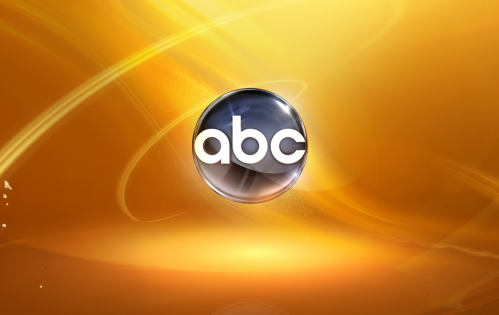 ABC has cancelled the show after one season of 22 episodes. Trophy Wife revolves around a former partygirl (Malin Åkerman) who becomes the third wife of an older man (Bradley Whitford) and becomes part of a large family that includes three step-kids and two ex-wives. 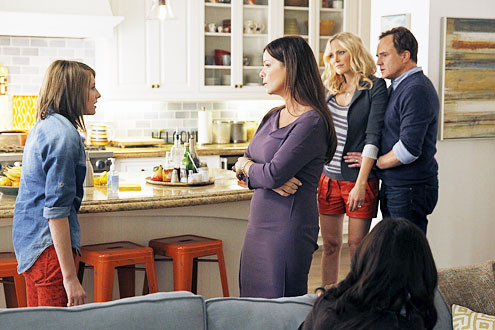 Marcia Gay Harden, Michaela Watkins, Natalie Morales, Ryan Lee, Bailee Madison, and Albert Tsai round out the cast. The sitcom started out okay in the ratings but they quickly dropped in subsequent weeks. They really fell after the end of 2013 and this week’s episode hit a series low with a 0.7 rating in the 18-49 demographic and 2.48 million viewers. The final episode is scheduled for next Tuesday night, May 13th. What do you think? Are you sorry that Trophy Wife has been cancelled? If you ran the network, would you have renewed it for a second season? More about: Trophy Wife, Trophy Wife: canceled or renewed? Yes I would have kept going it was good and allot of people still watch it. I loved the cymestry with the family. I really liked this show. Not many good family shows out there! Mostly crime shows! boo! I’m really sad they cancelled this show. My boyfriend and I loved it and was really looking forward to Season 2. PLEASE bring them back!!! I adored this show! So did my boyfriend! We thought it was so funny and entertaining. They did a really great job of putting a humorous spin on issues blended families face. We’re so sad to see it go. I can’t believe Trophy Wife was cancelled! I was looking forward to watching it in the new season. It was entertaining, funny, put a new spin on family life and the story lines were hilarious! I’m sure many people can relate to having ex spouses in your life, but this show put a fun spin on having to handle these awkward relationships with humor and cooperation. The cast was GREAT, including the kids! PLEASE give this show another shot!!! I didn’t even know this show got cancelled. I was looking to see when season two started but I guess I am not in luck. I absolutely loved this show! I thought it was hilarious ! And loved all the actors and actresses involved I thought they completed each other wonderfully and very sad it was cancelled. This was an excellent show. It was hilarious and the actors were great! Great writing! When I compare it to other sitcoms out there now, it is at the top of the great sitcom list, other shows lack good actors and good writers. I wish they’d consider keeping it. I actually related to this show quite well, being a 27 old woman and having dated a 43 year old man with a divorce and 4 kids. I definitely think it could have used some tweaks and improved for the next season, but sad to see it canceled. That is really too bad the show what cancelled. I used to laugh out loud watching it. Both my fiance liked it as well as my 21 year old son. I hope abc would reconsider, or another network pick it up. All the characters were perfect for their parts.